Description: Tired of looking at condo's that look & feel like an apartment? 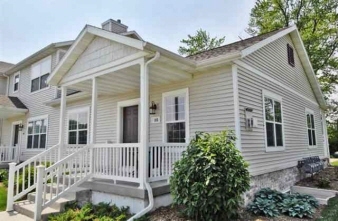 Well, check this one out, end unit on dead end with private front porch w/pond views! Beautiful custom ranch condo featuring maple cabinets, hardwood floors, stainless steel appliances, brushed nickel lighting, vaulted ceilings, & fireplace. Master suite with walk-in closet & full bath. The exposed lower level is finished w/ huge family/rec room w/integrated audio system & includes private 2 car garage. Vrp $174,000-$179,000.